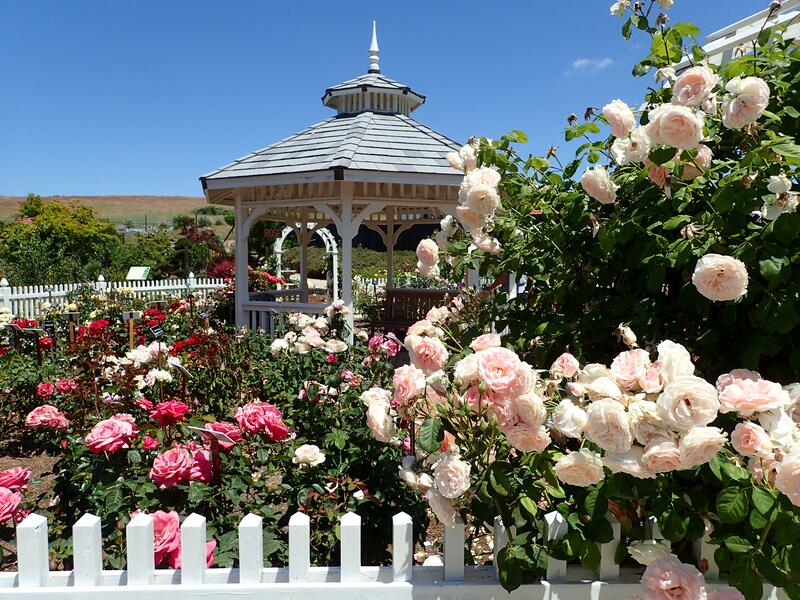 This is a classic rose garden with four beds arranged in a circle around a center gazebo, enclosed within a picket fence with arbors for climbing roses at the ends of the four brick paths. 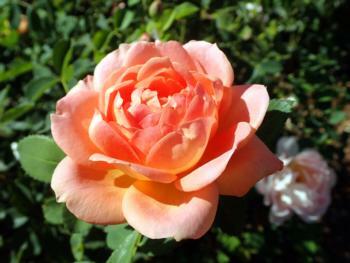 The roses, which include climbers, standards (tree), hybrid, teas, grandifloras and floribundas are arranged by color, with the exception of a grouping of English roses of various colors. The purpose of this arrangement is to allow the public who may be looking for a particular color rose to see a selection in that color from which to choose. 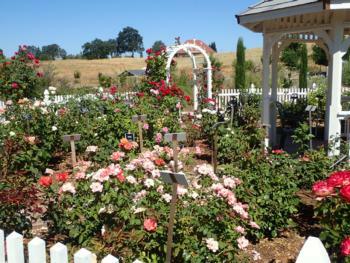 The roses were planted with correct spacing according to varietal size so that each bush stands alone and can be seen as an individual. 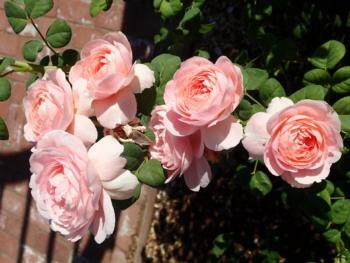 All the roses are #1 (best quality) plants an are kept pruned and deadheaded to show them off at their best during the growing season. All roses are named. 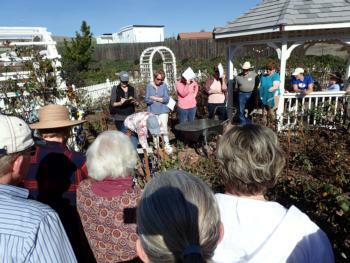 The garden is intended to showcase roses and will be used to provide instruction on correct placement and best growing practices, along with pruning techniques. 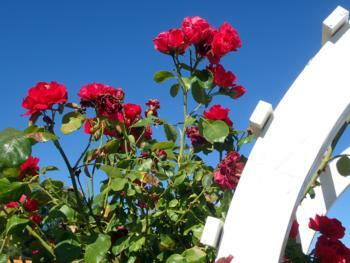 The Rose Garden is leafing out and the plants are pushing out buds. 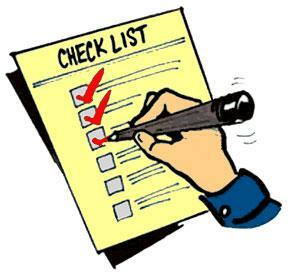 We are hoping many will be open for Plant Sale day. Here are some pictures from last years bloom. More to come this year!